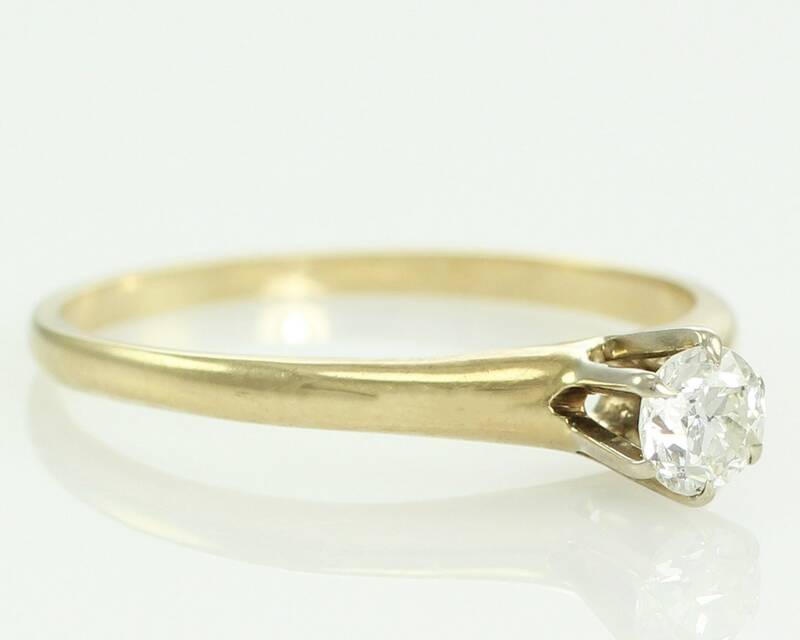 Antique Old European Cut Natural Diamond Solitaire Engagement Ring in 14K Yellow Gold Raised Setting with Six White Gold Prongs. 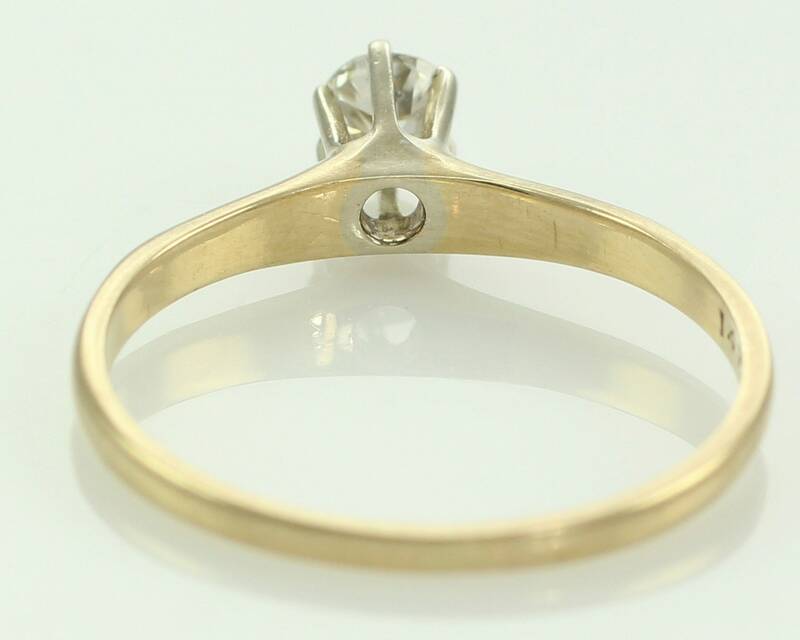 The ring shank has an elegant simplicity and lovely rounded taper that make it a timeless choice. 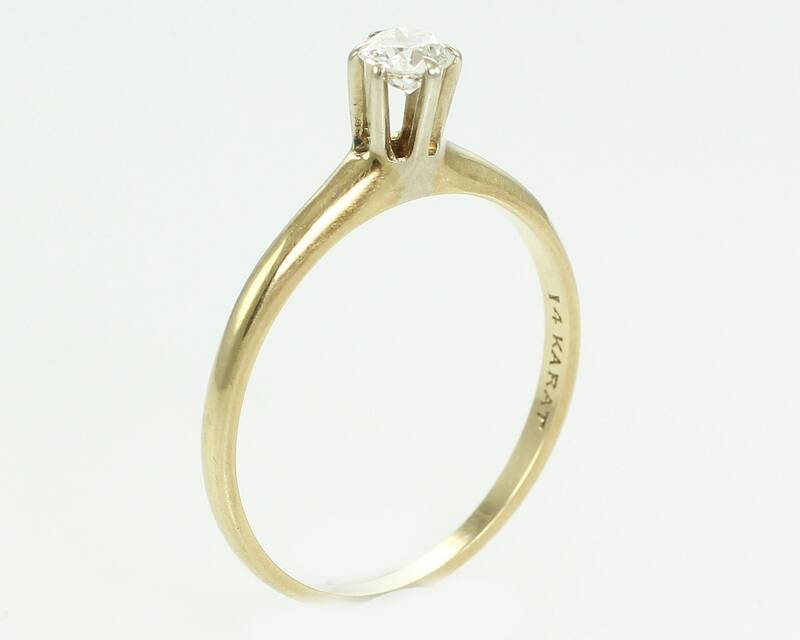 Made about 1920, the ring is set with a single later Old European Cut diamond that is close to a Transitional Cut. The stone is nearly round and has a slightly open, polished culet, but the crown is not quite as high as would be seen in an earlier Old European Cut. This diamond has very nice color and beautiful dispersion and lots of sparkle in both daylight and candle light. The diamond has some dark inclusions just under the table and therefore has a clarity grade of I3, but there are no cracks or chips, although there is a wonderful natural on the girdle. The color is a G-H. 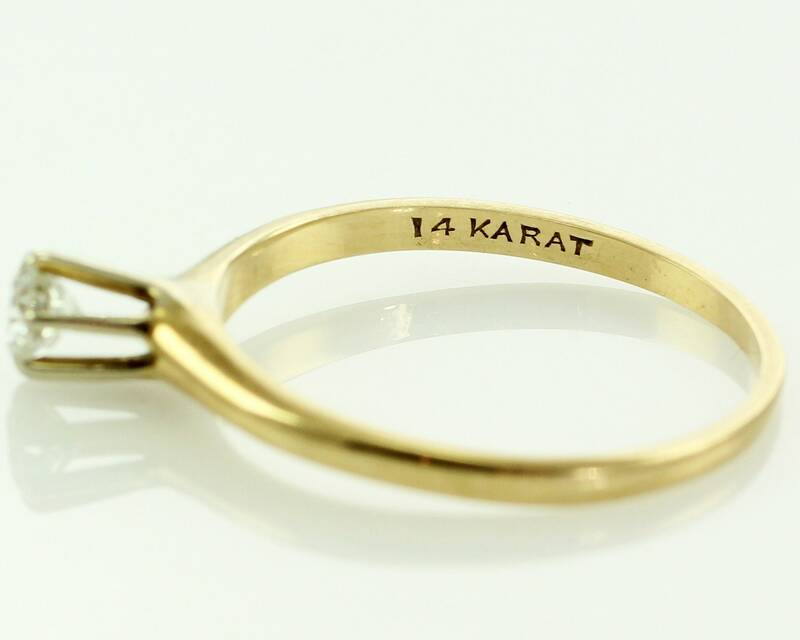 The ring is stamped 14 KARAT. It is a size 8 3/4 and is in Very Good Vintage Condition, with wear appropriate to age, and one prong that could benefit from retipping. 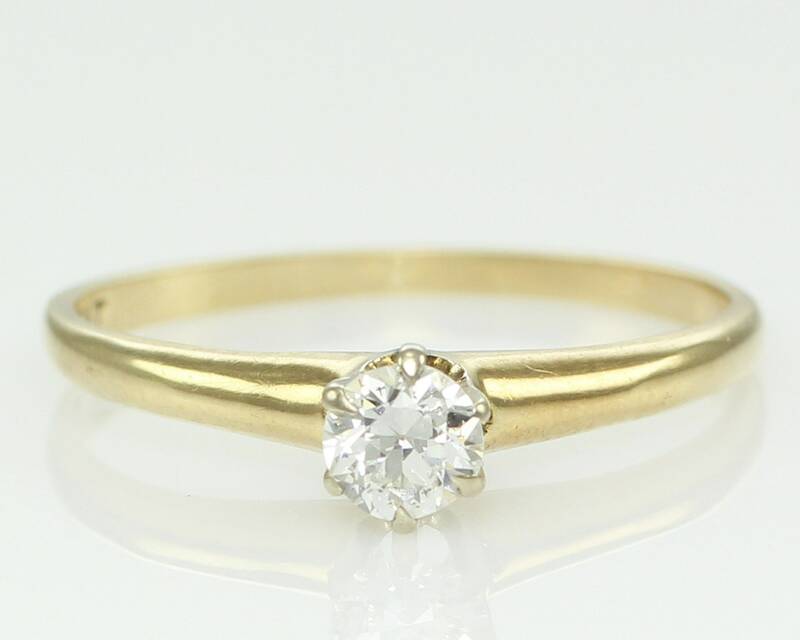 The white gold setting is not as bright as it once was, so you might want to have it replated. CONDITION: Very Good Vintage Condition, with surface wear consistent with age and and one prong that could benefit from retipping. MEASUREMENTS: The head is approximately 5 mm in diameter and tapers to 1.4 mm at the reverse of the shank.